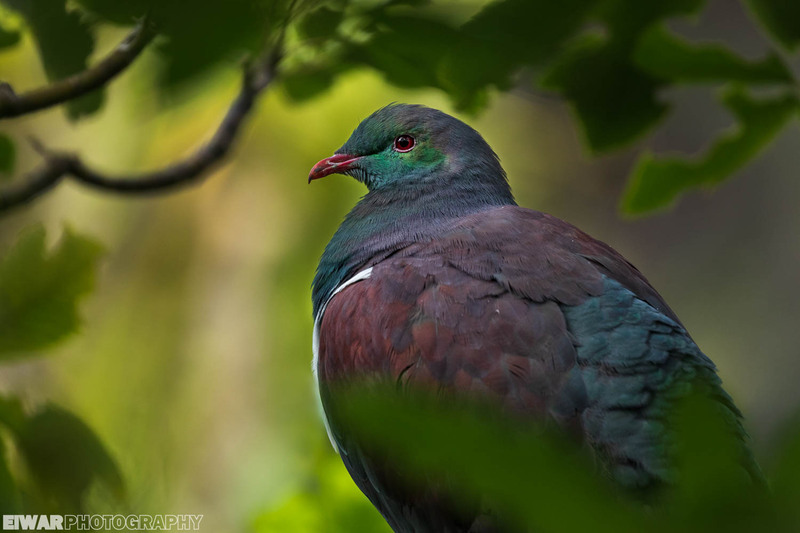 My dream, while I am in New Zealand (and maybe in the long-term), is to work as a conservation photographer: I want to be involved in conservation actions, visit places where people take care of birds, photograph the birds, the places, and the people, and write about them all. Therefore, I’ve contacted several places to ask if they had opportunities for me. I didn’t get an awful lot of replies, but one had me very enthusiastic: Chelsea, from the Pukorokoro Miranda Shorebird Center, offered me to come take pictures in their reserve, known for its waders. In return, I could sleep at the center. That’s how I found myself in the middle of a windy nowhere, on a Friday morning, looking for birds. After leaving the shorebird center, I’ve spent this week with Celia and Victor, helping them with their tasks 4 hours each day. In return, they offer me accommodation and food; that’s called wwoofing (willing workers on organic farms), even though I use a different website, HelpX. I did some water blasting, removed some branches (and some cow poo) from the fields, emptied sheds… In the afternoons, I worked on my pictures and wrote on my blog. It was an interesting experience to be part of a new household for a few days. On this last evening, we went to eat fish and chips in Kaiaua. Tomorrow I’ll hitch-hike to Coromandel Town, before a new helper stay in Hahei, on the other side of the Coromandel peninsula. It took me two hours, and three different drivers, to arrive to Coromandel Town. 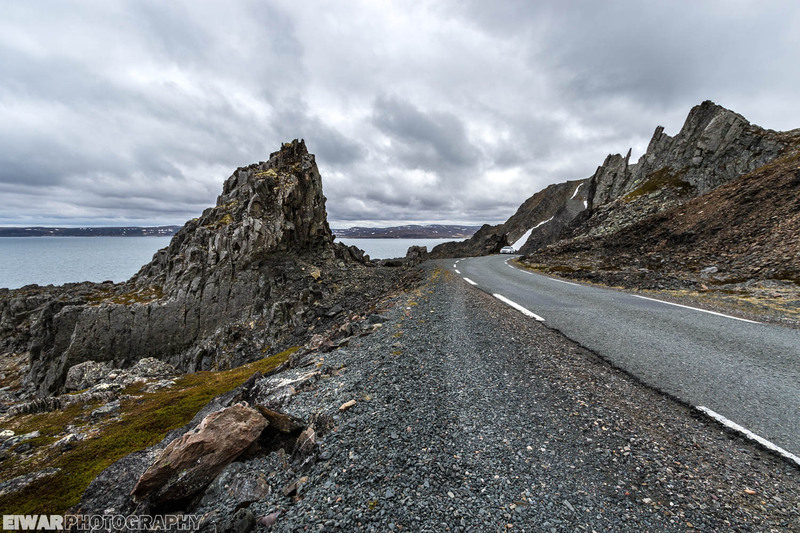 From Thames, the road wound along the rugged coastline, or climbed steep gradients to get to a pass and dive again on the other side. It was truly spectacular, and I saw a large pod of dolphins in the water. I checked in at the Anchor Lodge: ok for a night, but the facilities at the backpacker (the kiwi word for “hostel”) are not great. 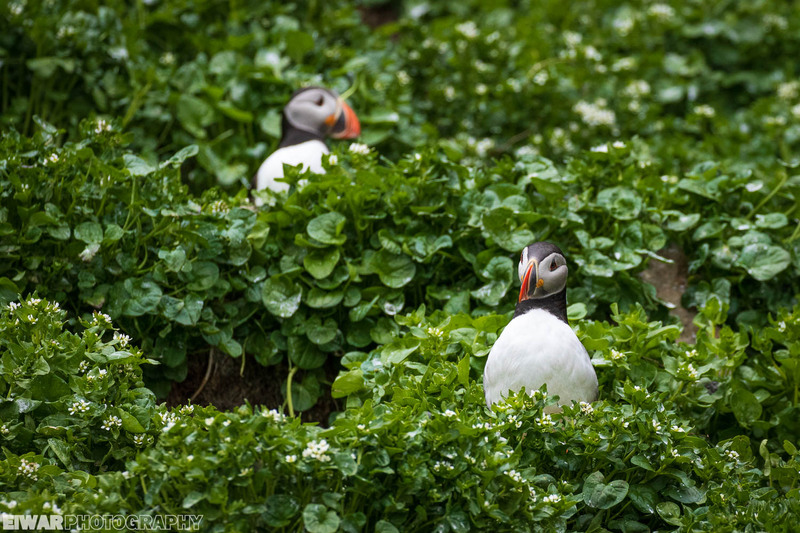 What would be a trip to Varanger like without a visit to Hornøya? Well, I have birder friends who do that because they are more interested in the tundra, but for the photographer in me, it’s difficult to pass on such an opportunity. This time, there was no snow on the cliff, but no sun either, most of the day at least. That’s not necessarily a bad thing, for I didn’t really like the light we had in March last year. Instead, a grey ceiling hung above, but the vegetation provided a welcome contrast. 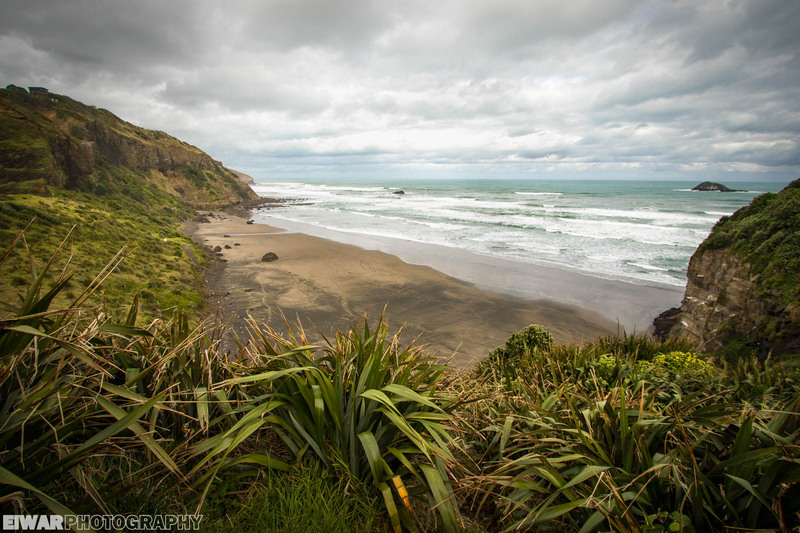 On the west coast, close to Auckland, lie 5 famous beaches of black sand and rolling waves: Whatipu, Karekare, Piha, Bethells and Muriwai. While it’s possible to see them all in one day, you’ll need a car for this, because there’s no public transportation. I didn’t have a car, but there was something I really wanted to try: hitch-hiking. I had never done that, but I knew New Zealand was a good place for hitch-hikers, and since I wanted to travel on the cheap, it sounded like a good idea. I told how I got to Muriwai in my diary, but again, I’d like to thank Charlie, my first hitch-driver ever, for making the detour to Muriwai even though that’s not where he was headed! In my last two articles about Tiritiri Matangi, I showed you the island and many of its inhabitants, but some are still missing. Let’s have a look, OK? 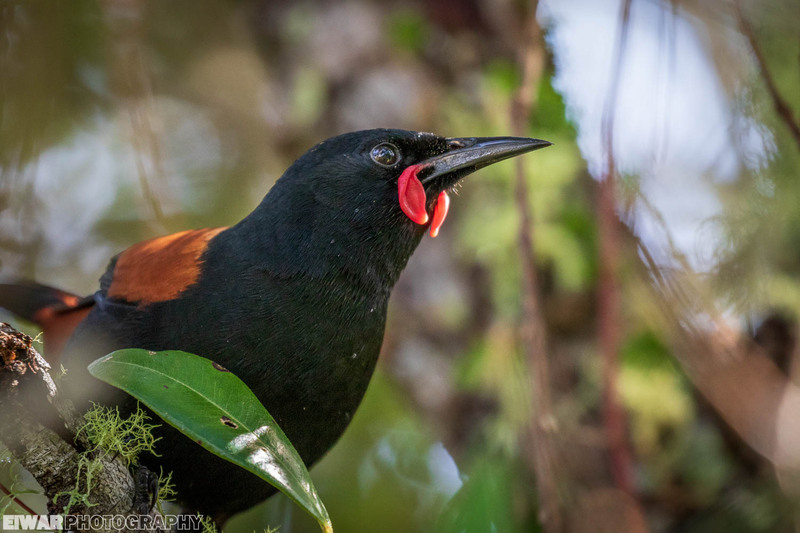 This bird, emblem of the Supporters of Tiritiri Matangi, went very close to extinction. 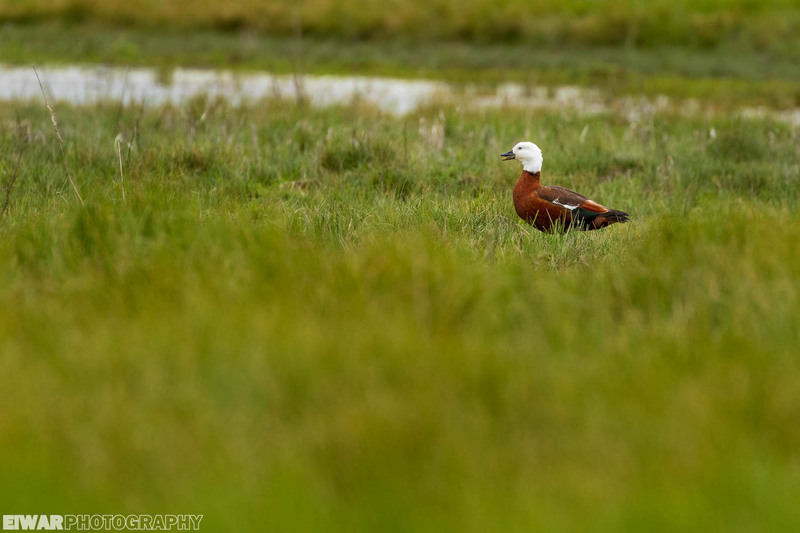 The introduction of rats and stoats brought a dramatic decline, and the only remaining birds were confined to Hen Island in the beginning of the last century. Like many other endemic species, they were then translocated to other locations, including Tiri in 1984. My first day on Tiritiri Matangi was one of discovery, of initiation. The following ones were days of deeper exploration. As I mentioned before, there was no ferry coming to the island on Monday and Tuesday. That meant that, for 2 full days (which actually turned into 3 when the ferry didn’t come on Wednesday either), we were alone. One ranger, two volunteers and three photographers on an island of 4 x 1 kilometers. Oh, and lots of birds! After coming back from Tiritiri, I’m staying at the hostel all day, sending email and trying to sort out my close future. I couldn’t help but notice how omnipresent rugby is, for there’s TV running in the living room, and it seems there’s always a documentary about the All Blacks on. Great day today, I hitch-hiked for the first time! 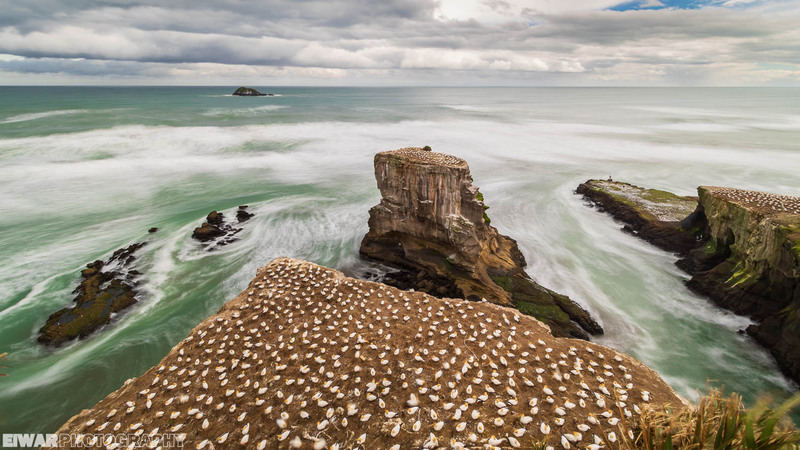 I went to the Australasian gannet (Morus serrator) colony in Muriwai; it was gorgeous, and I captured the picture I was looking for. Hamningberg was a place I wanted to see when I visited Varanger again, because the road is closed in winter and therefore we couldn’t go in March. It took some time for her to take me seriously, but once I achieved that, our conversation was set on better rails. 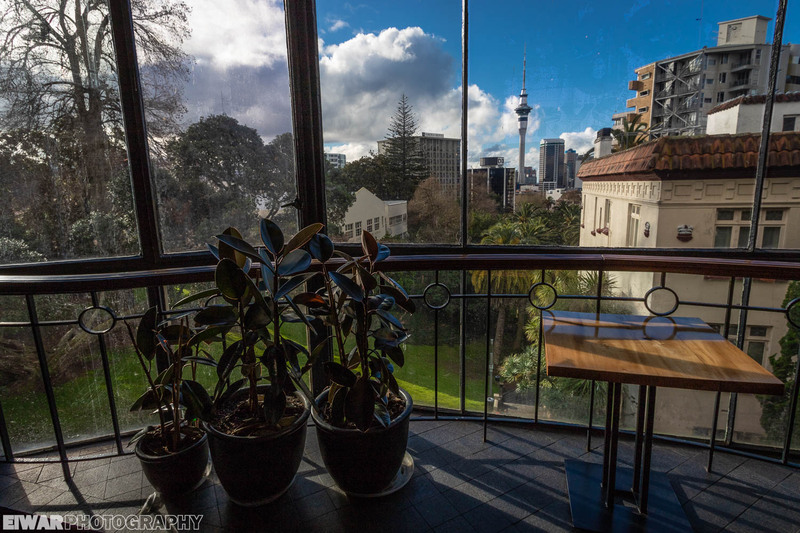 The agent at the Department of Conservation’s desk in downtown Auckland gave me some good advice on birdwatching around the city, and one info proved critical: one could stay overnight on Tiritiri Matangi. “Tiri” is an open sanctuary, an island free of introduced predators where trees have been replanted and rare birds introduced. Closely monitored, the place is open to visitors, and a ferry goes there every day, except on Mondays and Tuesday. That’s what pushed me to book a stay between Sunday and Wednesday: the promise of tranquility, with noone but a handful of guests in the vicinity. 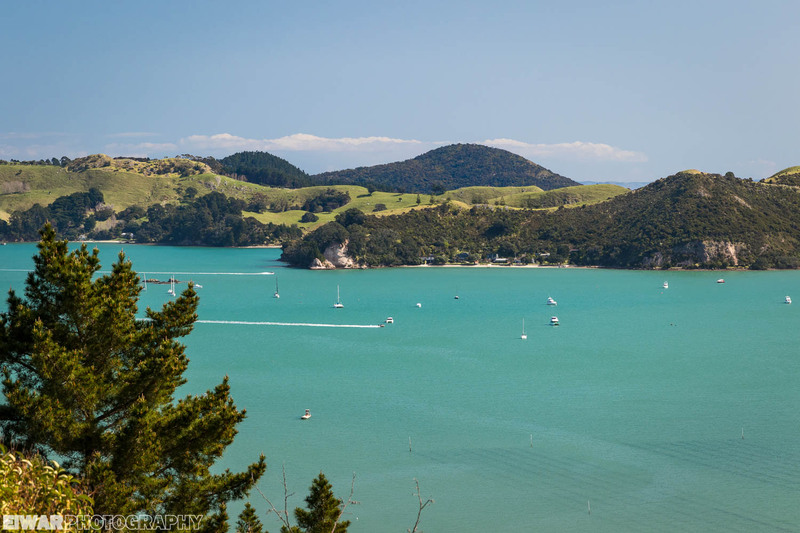 That’s how, only a few days into my stay in New Zealand, I was leaving the city to spend a few days on a remote island. 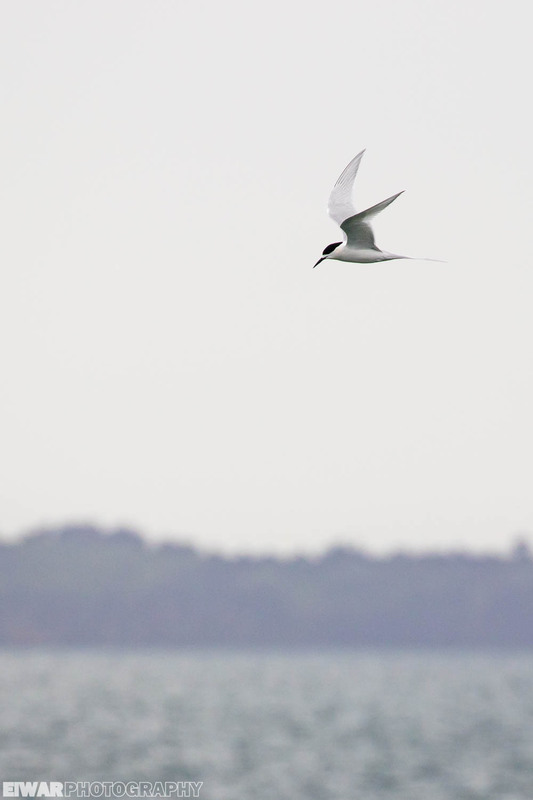 The crossing yielded some news species already: White-fronted tern (Sterna striata) and Australasian gannet (Morus serrator) were maybe the most notable.